Book Readers Heaven: A. J. Tata Rips From the News What Could Happen Soon! Dark Winter Now Out! A. J. Tata Rips From the News What Could Happen Soon! Dark Winter Now Out! ...Gorham didn’t want to focus solely on dominance of the social and commercial world; he wanted political power. He had read Von Clausewitz’ On War and knew that military action was simply politics by another means. Given the state of the world today, Gorham knew that the deep political divisions in the United States and around the globe made the world ripe for a hostile takeover. “Boss I’m talking to you,” Shayne said. “You’re sure you want to launch the nuke? It’s your one freebie,” Shayne said. “Yes. North Korea strikes Japan with a nuke. World’s third largest economy. An extension of the United States for all practical purposes. “Okay, then. For the third time, execute,” Gorham said in an even tone. 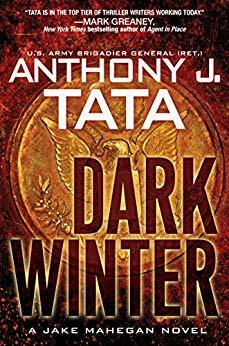 The book description and additional publicity on Dark Winter left me with feelings of trepidation... Knowing the experience and expertise of A. J. Tata, I knew that this book was going to be as realistic as it could be, essentially responding to the question, "What If?" Each of the countries would be targeting nearby areas and moving into offensive position to overcome and destroy... Russia was also aiming for the total destruction of the United States, with their large arsenal of nuclear armaments. It was to be a war of cyber action in the beginning. Through various contracts with the government across the world, weapons had been "changed" slightly from specifications, so that when put into action they would not make contact with proposed targets! It had begun with the bomb strike on Japan by the North Koreans and then ground military action by all three countries all at once. The ComWar had control of all types of equipment that was computer controlled and had weighted the three countries, Russia, Iran, and North Korea so that their military equipment were all efficiently working! Cassie is perfect for Jake! She's not willing to have Jake move her out of her team position, does not want to be protected, rather to allow her to act as normal in doing what she needs to do. But, the link between the two adds an extra dimension to the thriller that represents the love each soldier has for their loved ones and for their country. They love both, but will do anything to protect and serve those loved ones. The lack of attention to cyber security for the last few years, as elections and social networks have been hacked with false information or used to hack election machines, while little has been done to lead and prepare for the use of computer manipulation, has been, illustratively, shown just how vulnerable the United States has become related to security...security of the infrastructure, not just on bigger and better ground and air equipment. Having worked with computer systems throughout my professional career, I am constantly alert to just how bad things can get if computer systems are affected in even small ways. The technological aspects of this book are beyond my expertise to actually do, but certainly the book is brilliantly done to show exactly how bad it can get! And a bit of coordinated criminal intent cannot easily be thwarted. When I read this latest book of General Tata, and knowing he is already involved to some extent in government issues, I can't help but hope that he will enter the political realm and use his expertise to actually stop that potential WWIII that he has written about in Dark Winter. We have to deal with the violent terrorism that is rampant, as another mass shooting took place this very morning... Readers, if you don't understand about computer usage in relation to military safety and security, you must read this book! Learn what you need to know about cyber acts that can take us into a war like no other. Sure it's exciting and those who like military thrillers are bound to enjoy the book. I loved it for putting the newspaper headlines directly into a book like no other could to describe the turmoil and world-wide concerns we already know exists today... Has RINK already been formed??? General Anthony J. Tata has more than three decades of public service as a military officer and in leadership roles at the county and state level. His last combat tour was as the Deputy Commanding General of the 10th Mountain Division and the Joint Task Force in Afghanistan, commanding nearly 25,000 troops. He is also an acclaimed novelist with nine fiction novels, including national bestsellers Foreign and Domestic, Three Minutes to Midnight, and Besieged. Kensington Books will release Direct Fire December 2017. General Tata is president of defense, transportation and energy services company, KaylaTek, LLC. He also frequently speaks on matters of foreign policy to companies such as Google, Hewlett Packard, General Electric, MetLife, Bank of America, Glaxo Smith Kline and other major corporations. Previously, General Tata served as the North Carolina Secretary of Transportation, leading the state’s 12,000 NCDOT employees and serving as a member of the Governor’s cabinet. 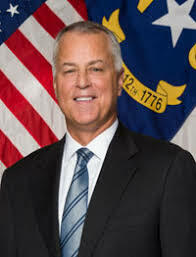 Immediately prior to that, he served as the Superintendent of the Wake County Public School System, leading the state’s largest school district of 18,000 employees and 150,000 students to record academic heights. General Tata served two tours of duty in the 82nd Airborne Division at Fort Bragg. He also served as a brigade commander in the 101st Airborne Division and as the Deputy Commanding General of the 10th Mountain Division. Among his military decorations, he has been awarded the Combat Action Badge and Bronze Star, served as a Master Parachutist and graduated from the U.S. Army’s Ranger School. He is listed as a distinguished member of the 502nd, 504th and 505th Parachute Infantry Regiments. Tony received a Bachelor of Science at the United States Military Academy at West Point, a Master of Arts in International Relations at the Catholic University of America, a Master of Military Art and Science in Strategic Planning at the U.S. Army’s School of Advanced Military Studies, and was a National Security Senior Fellow at the Harvard University Kennedy School of Government. Tony is the National Security Expert for One America News Network and reliably comments on foreign policy matters on dozens of programs and networks, including Fox News (Hannity, Bill O’Reilly Show, Megyn Kelly, Fox and Friends Weekday and Weekend, Geraldo Rivera Show, Fox Weekend News, America’s Newsroom with Bill Hemmer, and others), CNN New Day and with Brooke Baldwin, CBS News with Harry Smith, The Glenn Beck Show on The Blaze, and The Daily Buzz.